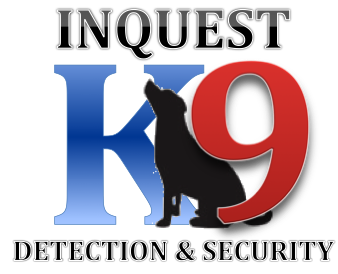 Inquest Canine Detection and Security Ltd is an experienced leading supplier of manned guarding services nationwide to the UK. When it comes to manned guarding it is all about people. We employ officers to deliver tailored services to our clients across a number of sites and sectors. Our people development and robust management systems help us to deliver a professional manned guarding service. As an SIA approved contractor (ACS Scheme) we are proud to create a culture where we can build long lasting relationships with our clients that in turn breeds loyalty and trust. Our officers operate to the highest standards with knowledge, presentation and enthusiasm and are commitment to deliver service excellence. A well trained and well managed security officer helps solve potential security issues by taking way the cause, which is often simply 'opportunity', deploying a full time security officer greatly reduces the risks for opportunist criminals to operate and for the attack against your people, property and assets to take place. Other advantages to manned guarding include Crime scene protection, First on scene response and protection of individuals from assault or injury. At Inquest Canine Detection & Security Ltd, all of our clients will be dedicated to a specific account management team to ensure that we have the knowledge of your site operations and capacity to deal with any situation that may arise. Inquest's management team would be delighted to meet you with no obligations, in order to discuss your vision for your sites security supplier and offer any advice that we can.